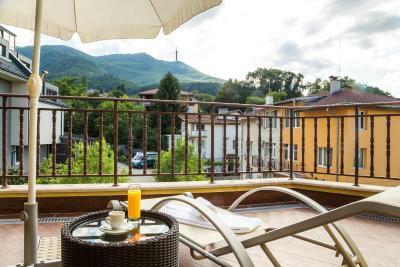 Lock in a great price for Hotel Villa Boyana – rated 9.1 by recent guests! I loved this place. The owner waited to welcome me when I had a late flight. My room and the hotel was extremely clean, comfortable, great shower , and wifi. The hotel is in a great position with a view down to the city and the mountains & lots of stuff nearby. Breakfast was great. Thank you!! Noce location. Nice, large rooms. Coming from Greece, I saw the bathroom as a huge place on its own. But it nice, easy to move around. Staff was very friendly and helpful. Definitely a good option next time I go to Sofia. 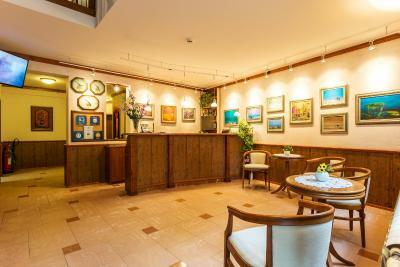 Nice location, staff friendly and trying to make your time in the hotel comfortable and easy. Breakfast also amazing! If you want to have nice view from room, take apartment with balcony. 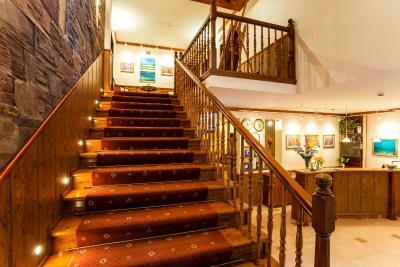 Extra large rooms, very pleasant stuff, nice breakfast, practical entrance for car. Great room very clean and tidy. The location is wonderfull. The scenery you see from the balcony is outsanding. There is an easy parking in the Hotel area. The staff is very kind and speaks English. Very good value for money. 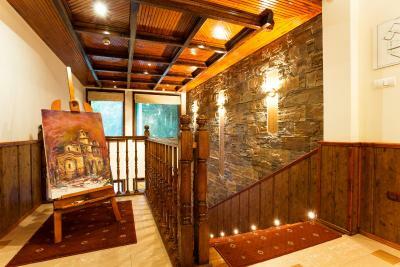 The owner loves this hotel and you can see that in every detail! 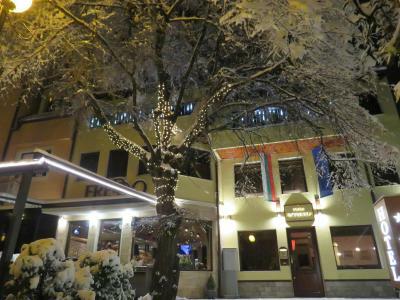 I definately found the place to stay when I am in Sofia. Breakfast was poor. But they asked me at what time I would prefer breakfast, and after I informed the staff that I don't like eggs they instantly brought me something else. Next morning they were even more organized. They also serve espresso! 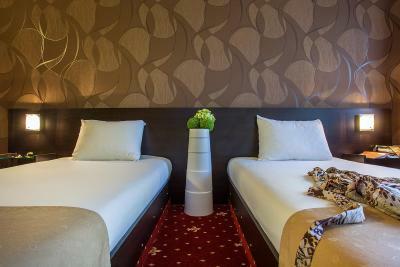 It is a great 3 star hotel, and they love their work! The location is up the mountain of Vitusha, with lovely walks in the woods nearby. 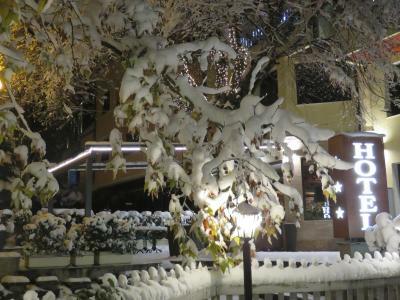 We did not go back down to the city but enjoyed the ambiance of the Boyana District. The owner was very accommodating and welcomed us warmly even though it was almost midnight! We went directly to bed and sorted all payments the next day. Breakfast was served on site. We had dinner next door at his restaurant - delicious! Ho organised a taxi for us to get back to the bus station. Boyana Orthodox Church is very close by, a World Heritage Site and well worth a visit. He made a delicious breakfast especially for me each morning that fit my plant-based eating! 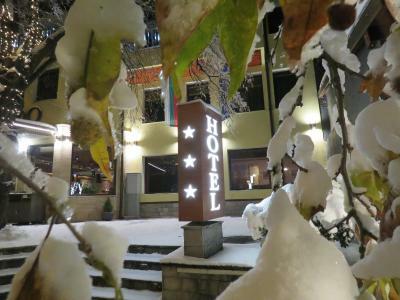 The hotel is very close to the walking paths up Vitosha mountain. I will definitely stay again! 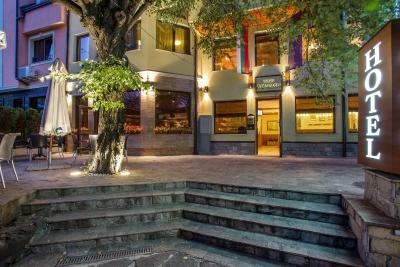 The hotel is located at the foot of Vitosha mountain with easy access to hiking trails. My room was extremely comfortable and clean and had everything I needed. The hotel manager was very kind and helpful, especially when I was having trouble with my wi-fi (the problem was on my end, and he insisted on helping me until it was resolved). The breakfast was delicious with plenty of food. 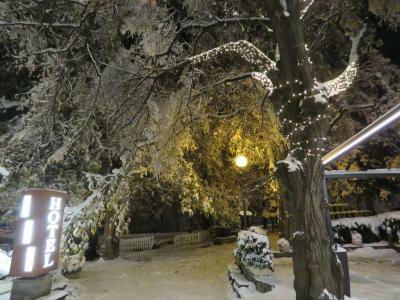 I have stayed at several hotels in Sofia and this was my favorite! I would highly recommend staying here and I will certainly stay here again! 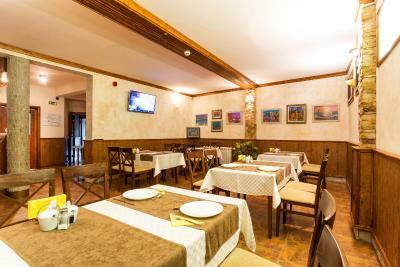 The Kachamak Restaurant next to the property was exceptional Walking distance to Boyana Church and near highway Perfect for hikers! 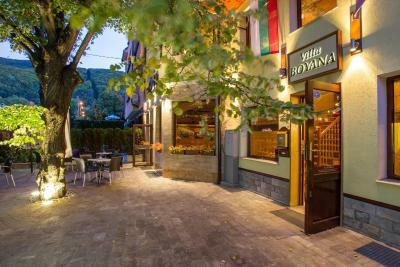 Hotel Villa Boyana This rating is a reflection of how the property compares to the industry standard when it comes to price, facilities and services available. It's based on a self-evaluation by the property. Use this rating to help choose your stay! 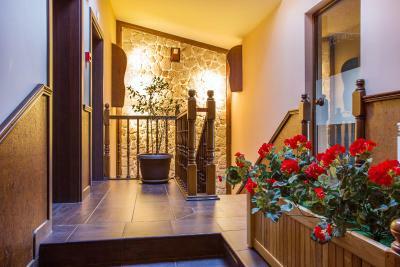 Located in the Sofia's wealthy Boyana neighborhood at the foot of the Vitosha Mountain, the Hotel Villa Boyana offers free private parking and free Wi-Fi. 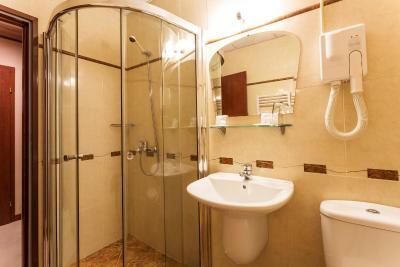 All rooms at the Villa Boyana feature an elegant bathroom with toiletries, a mini-bar and a TV. 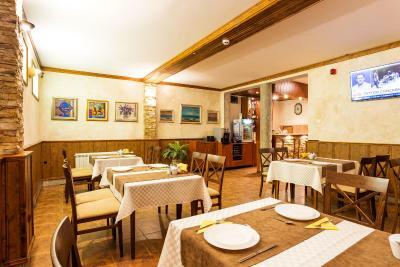 An Italian and a Bulgarian restaurant can be found next to the hotel. 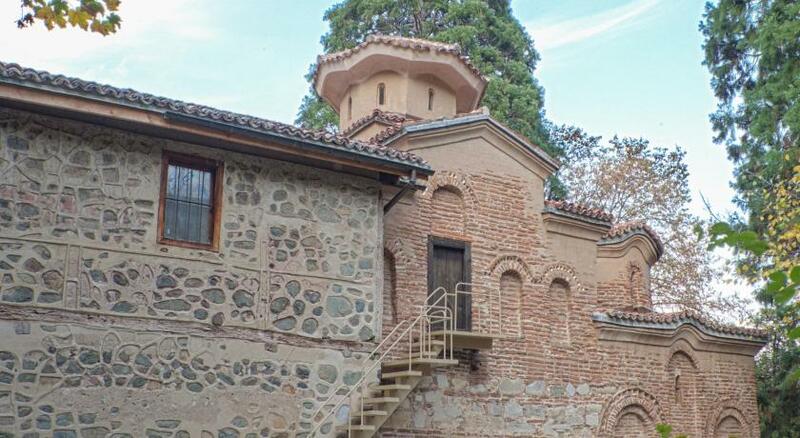 The famous Boyana Church is 1,300 feet away and the National History Museum is 0.7 mi away. The center of Sofia can be reached by car in 15 minutes and the Simeonovo Ski Elevator in 10 minutes. 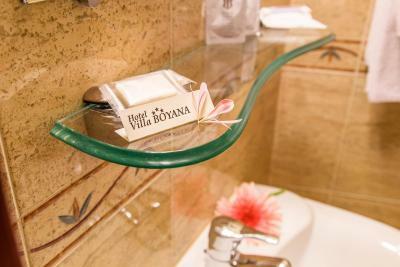 When would you like to stay at Hotel Villa Boyana? 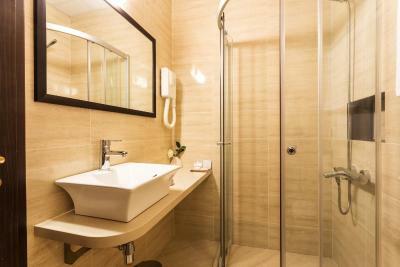 Elegantly furnished room with a stylish bathroom. 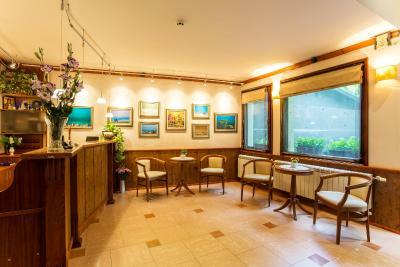 If you need a cozy corner to relax with your family, hold a business or corporate meeting, you have already found the right place. 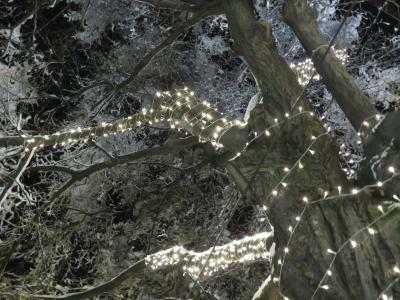 We offer you tranquility, romantic and beautiful experiences, in a hideaway from the hustle and bustle of the big city. 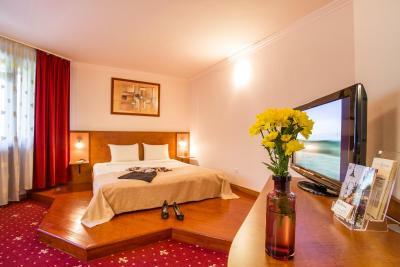 Villa Boyana hotel offers accommodation in cozy, elegantly decorated rooms, totally different from the traditional boring hotel rooms. 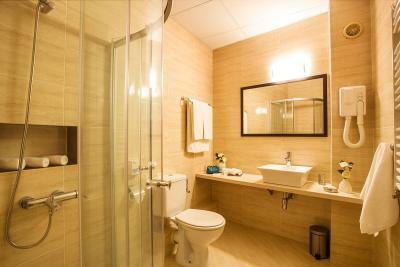 Architecturally, every room and all areas of the hotel are different. The interior of the rooms and of the common areas is implemented using genuine materials and fabrics in gentle pastel colors. Every corner is conducive to relaxation. 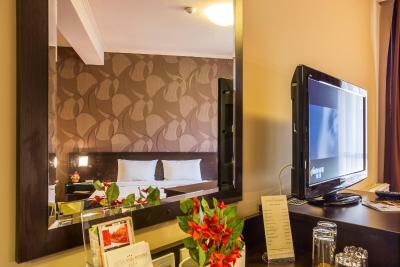 Our guests may choose accommodation either in a single or double room, double room with single bed, or a suite. 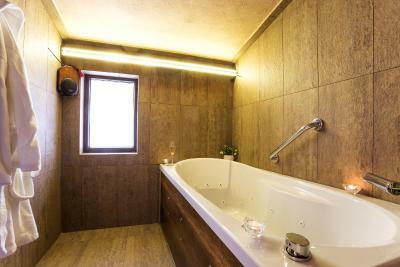 The rooms are spacious, light and fit for families, romantic couples or just a group of friends. 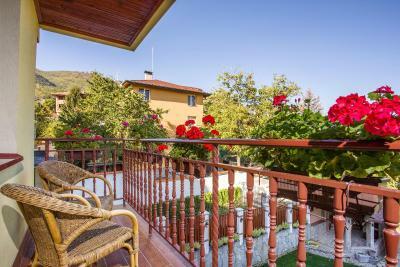 The Villa Boyana Hotel provides quiet and tranquil atmosphere for you to concentrate on your tasks. Moreover, you can quickly reach all the important administrative and business centers in the capital. 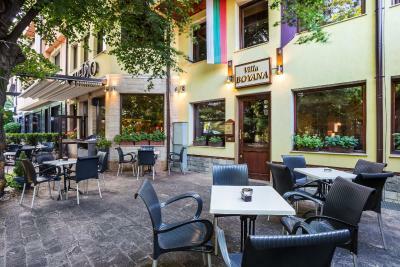 Hotel surroundings – This neighborhood is a great choice for travelers interested in shopping, restaurants and museums – Check location Excellent location – show map Guests loved walking around the neighborhood! 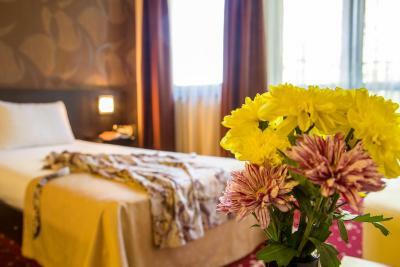 House Rules Hotel Villa Boyana takes special requests – add in the next step! 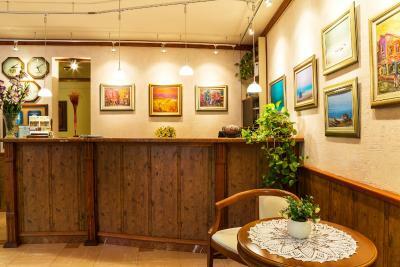 Hotel Villa Boyana accepts these cards and reserves the right to temporarily hold an amount prior to arrival. 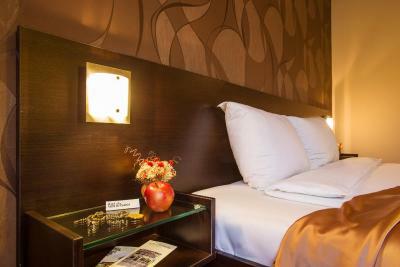 The breakfast is not your choice, it is the hotel choice And could be not enough for a person. 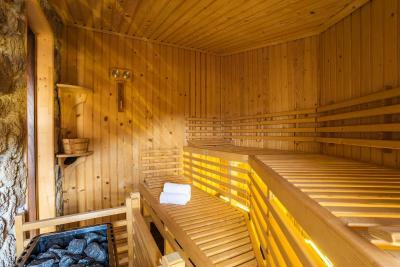 Nice, cozy, warm rooms. Very clean!!! 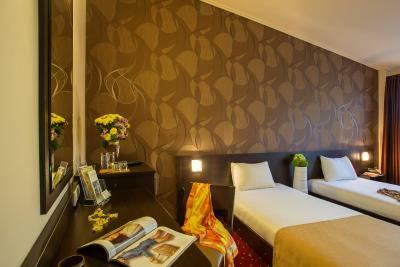 Nice and friendly stuff, peaceful place with clean and comfortable rooms. This is a lovely place to stay! The single room I stayed in was more the size of a European double room and was even more modern that it appears in the photos. It was extremely clean and comfortable. The shower had good pressure and temperature. I also had a balcony with my room which was extra nice. The owner is very friendly and helpful. The hotel had nice personal touches like holiday decorations in the room. 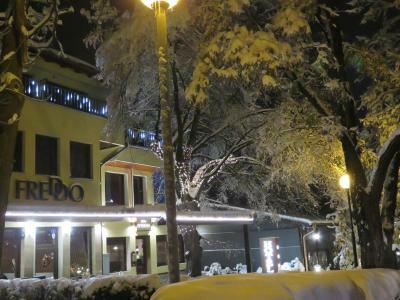 There were several restaurants to chose from right outside the hotel and a grocery store (Optima) just a 5 minute walk away. I would be very happy to stay there again. Really nice place. Peaceful and the service was really good. Confortable rooms. Great breakfast. Parking. Beautiful room with great view. Clean and tasteful. 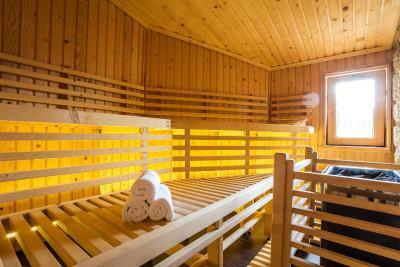 Very friendly English speaking personal and great location. No elevator (but that's no big deal because only half a flight of stairs up). No buffet at breakfast might cause a slight problem for families with kids. Everything was perfect. The owner was very helpful, speaks good English. Breakfast was excellent (no buffet, he prepared and served everything himself - every morning something different: sometimes eggs, sometimes a plate of cheeses and salami, sometimes sausages, etc. -- always vegetables and fruit). Room: large, with balcony, very clean, towels changed every day, etc. WiFi: strong in the room. Bed: large, comfortable, with good hard mattress. Electric sockets: enough and easy to reach. A ramp could be useful when accessing from the backside car park.